Check here official JAM dates for the JAM examination. Only the candidates who qualify in JAM 2019 (whose names appear on the Merit List) will be eligible to apply for admission to any of the corresponding academic programmes available at IITs (refer to Appendices-I & II of the Information Brochure). Candidates are advised, in their own interest, to refer to the brief profiles of the Admitting Institutes and Departments at their respective websites. Applicants should note that they have to apply for admission by filling an online Application Form for Admission (henceforth called Admission Form) available only at JAM 2019 website. Based on the test paper(s) qualified, an applicant can apply to one or more academic programmes covered under that test paper(s), subject to fulfilment of the Minimum Educational Qualifications (MEQs) and the Eligibility Requirements (ERs) of the Admitting Institute(s). For the academic session 2018-19, the following admission procedure shall be followed for all the Programmes at IITs covered under JAM 2019. Candidates are also advised to refer to the JAM 2019 website for latest updates. 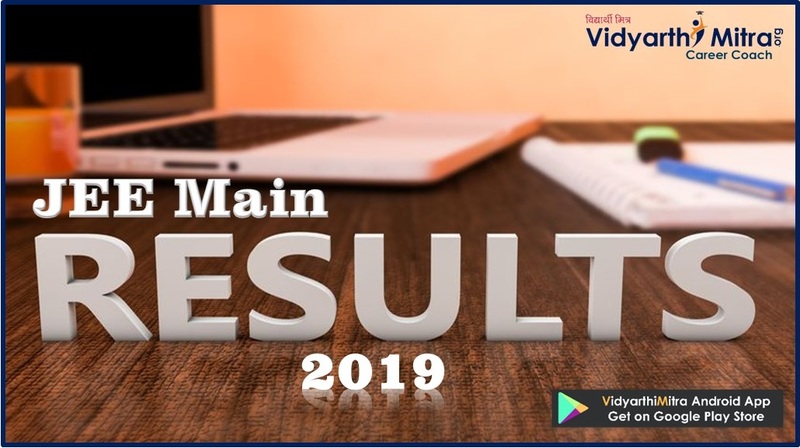 After JAM 2019 results are announced, a qualified candidate will have to apply ONLINE only using the prescribed Admission Form available at JAM 2019 website http://jam.iitb.ac.in, irrespective of IITs where the admission is sought. The duration for online Admission Form submission is from April 03-17, 2018. NOTE to OBC-NCL Candidates: The candidates must upload a valid OBC-NCL certificate issued after 31st March 2017, in the prescribed format when they submit their application form for admission after the declaration of JAM 2019 results. The final seat allotment will be done based on the OBC-NCL certificate submitted along with the application form for admission. The candidate will be considered in the General category in case the OBC-NCL Certificate is invalid or not in the prescribed format or not uploaded within prescribed time. Irrespective of whether a candidate has qualified in one or two Test Papers, only one duly completed Admission Form should be submitted listing, in an option form, all the programmes at IITs (along with the order of preferences) where the candidate is seeking admission. Upon logging in to the JAM 2019 website (JOAPS), the candidate needs to fill in the required information, such as choice of the programmes in order of preference, educational qualifications, percentage of marks/CGPA, category, PwD status etc. After carefully choosing the order of programme preferences based on the ER and MEQ of the programmes at Admitting Institutes, a payment of Rs 600/- (Rupees six hundred only) is to be made as non-refundable processing fee. The payment can be made online through JOAPS latest by April 19, 2018 (Thursday). 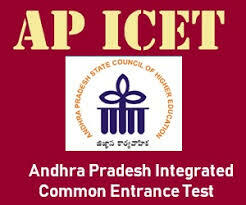 The Admission Form will not be considered if it is found incomplete in any respect or if it is not accompanied by the payment and the candidate will not be considered for admission, irrespective of satisfying the ER and MEQ of any programme(s) for which the Admission Form has been submitted. Also, a candidate will be considered for admission only to the programme(s), given in his/her Admission Form. Taking into consideration the order of preference as given in the Admission Form and corresponding rank(s) in the Merit List, the First Admission List for each programme under JAM 2019 will be prepared by the Organizing Institute and will be announced on May 22, 2018 (Tuesday) on JAM 2019 website. Note: Applicants are requested to periodically check the web site for knowing the status of the application/any communication. They should also check the messages sent to their registered email and mobile. After the declaration of the First Admission List, admission intimation will be sent by the organizing Institute to the concerned candidates. Along with the submission of the acceptance form, these candidates will also have to pay an advance seat booking fee (Rs. 10000/- for General/OBC-NCL category candidates and Rs. 5000/- for SC/ST/PwD category candidates) online through JOAPS, within the deadline mentioned in the intimation. This amount will be transferred to the Admitting Institute and it will be adjusted against the Institute Fee at the time of Registration. If seats remain vacant after the first admission process is over, the Organizing Institute will prepare a Second Admission List. This second list will be announced by the Organizing Institute on JAM 2019 website and the intimation based on the second list, if any, will be sent by the Organizing Institute to the candidates concerned. Candidates who have been intimated about the offer through the Second List but not through the First List, must submit their acceptance form, along with an advance seat booking fee (Rs. 10000/- for General/OBC-NCL category candidates and Rs. 5000/- for SC/ST/PwD category candidates) paid online through JOAPS, within the deadline mentioned in the intimation. This amount will be transferred to the Admitting Institute and it will be adjusted against the Institute Fee at the time of Registration. If seats remain vacant even after the second admission process is over, the Organizing Institute will prepare a Third and Final Admission List. This third and final list will be announced by the Organizing Institute on June 29, 2018 (Friday) on JAM 2019 website and the Intimation will be sent by the Organizing Institute to the candidates concerned. Candidates who have been intimated about the offer through the Third List but not through the First two Lists, must submit their acceptance form, along with an advance seat booking fee (Rs. 10000/- for General/OBC-NCL category candidates and Rs. 5000/- for SC/ST/PwD category candidates) paid online through JOAPS, within the deadline mentioned in the intimation. This amount will be transferred to the Admitting Institute and it will be adjusted against the Institute Fee at the time of Registration. With the Third and Final Admission List, the admission process based on JAM 2019 will come to a close. If a qualified candidate is allotted a seat through the First Admission List and if the offer of admission is accepted, the lower preferences of the candidate, if any, will be automatically cancelled. However, the candidate will remain on the waiting list for all the higher preferences (if any). Qualified candidates, who are not allotted any seat in the First/Second Admission List, will remain on the waiting list in the next round of admission(s). If a qualified candidate fails to accept an admission offer, he/she will not be considered further in the admission process. o Verification of Minimum Educational Qualifications (MEQs) and the Eligibility Requirements (ERs) for admission is the prerogative of the Admitting Institute(s) only and the Organizing Institute will not respond to any queries in this regard. o The offer of admission to a candidate will be provisional, subject to the fulfilment of all the requirements by the dates specified. o Candidates should note that being in the Merit List of any test paper neither guarantees nor provides any automatic entitlement for admission. Admissions shall be made in order of merit and depending on the number of seats available at the Admitting Institute(s). IIT JAM Eligibility 2019 should be checked by candidates before applying. Joint Admission Test for M.Sc (JAM) is the national level exam for admission to M.Sc and other post-bachelor degree & dual degree programmes at IITs. IIT JAM eligibility criteria is given below in detail. The JAM exam is gateway for admission to integrated Ph.D programme at Indian Institute of Science (IISc) & IITs. IIT, Kharagpur is the organizing institute for JAM 2019 examination. Every year, this entrance test is taken by a number of students. The JAM exam will be conducted on 10th February 2019. Only eligible candidates will apply for JAM 2019. Through this article, candidates can check JAM 2019 eligibility. Indian national as well as foreign national are eligible for JAM. Qualifying Exam: Candidates applying for JAM should have bachelor’s degree as a qualifying examination degree. Minimum Marks: The qualifying examination must be passed with minimum 55% aggregate marks (in all subjects including Languages and Subsidiaries, all years combined) without rounding off. Candidates belonging from SC/ST category are required to obtain at least 50% aggregate marks, without rounding off. In case of grading system/CGPA, the equivalence in percentage of marks will be decided by the Admitting Institute. Candidates who are pursuing the qualifying examination have to submit the proof of passing the qualifying examination to the admitted institute by 30th September 2019. There is no restriction in the upper age limit for JAM. Candidates must check the eligibility before filling the IIT JAM application form. 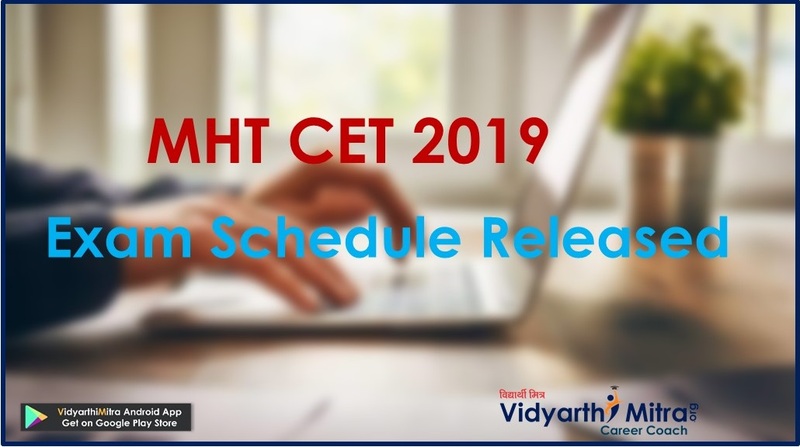 Here we are providing the eligibility criteria of various courses offered under IIT JAM exam 2019. The examination will be organized in seven subjects, also referred to as Test Papers, of Biological Sciences (BL), Biotechnology (BT), Chemistry (CY), Geology (GG), Mathematics (MA), Mathematical Statistics (MS) and Physics (PH). Joint M.Sc.- Ph.D. in Mathematics IITBBS, IITKGP Mathematics/ Statistics as a subject for at least two years/four semesters. IIT JAM Syllabus 2019 is vary as per the courses opted by the students. IIT, Kharagpur is conducting the IIT Joint Admission Test (IIT JAM 2019) for admission to 2-years M.Sc and other post bachelor degree programmes offered by the IITs. Candidates who wish to take admission into integrated Ph.D programme offered by IISc can also take this test. The IIT JAM will be conducted on 10th February 2019. In this article, students can check details about IIT JAM 2019 syllabus for all the papers. JAM 2019 will be conducted online for all the seven papers. The duration of the examination will be 3 hours. In JAM, there are total 60 questions comprising of 100 marks. The question paper will consists of three sections namely Section-A, Section-B and Section-C. Questions in Section-A and Section-B will be of objective type while questions in Section-C will be of Numerical Answer Type (NAT). There will be negative marking for Section-A but no negative marking for Section-B and Section-C. In IIT JAM 2019 syllabus, will be released by the authority along with the information bulletin. Students can check the syllabus of JAM 2019 for all the seven papers. The seven papers of JAM are Biological Sciences, Biotechnology, Chemistry, Geology, Mathematics, Mathematical Statistics and Physics. Check below the official syllabus paper-wise. Basics of Biochemistry, Biophysics, Molecular Biology: Buffers; trace elements in biological systems; enzymes and proteins; vitamins; biological oxidations, photosynthesis; carbohydrates and lipids and their metabolism; digestion and absorption; detoxifying mechanisms; nucleic acids; nucleic acid metabolism; nature of gene and its function; genetic code; synthesis of nucleic acids and proteins; regulation of gene expression; operons. The Planet Earth: Origin of the Solar System and the Earth; Geosphere and the composition of the Earth; Shape and size of the earth; Earth-moon system; Formation of continents and oceans; Dating rocks and age of the Earth; Volcanism and volcanic landforms; Interior of earth; Earthquakes; Earth’s magnetism and gravity, Isostasy; Elements of Plate tectonics; Orogenic cycles. Palaeontology:Major steps in the evolution of life forms; Fossils; their mode of preservation and utility; Morphological characters, major evolutionary trends and ages of important groups of animals – Brachiopoda, Mollusca, Trilobita, Graptolitoidea, Anthozoa, Echinodermata; Gondwana plant fossils; Elementary idea of verterbrate fossils in India. Mathematical Methods: Calculus of single and multiple variables, partial derivatives, Jacobian, imperfect and perfect differentials, Taylor expansion, Fourier series. Vector algebra, Vector Calculus, Multiple integrals, Divergence theorem, Green’s theorem, Stokes’ theorem. First order equations and linear second order differential equations with constant coefficients. Matrices and de­terminants, Algebra of complex numbers. Mechanics and General Properties of Matter: Newton’s laws of motion and applications, Velocity and acceleration in Cartesian, polar and cylindrical coordinate systems, uni­formly rotating frame, centrifugal and Coriolis forces, Mo­tion under a central force, Kepler’s laws, Gravitational Law and field, Conservative and non-conservative forces. Sys­tem of particles, Center of mass, equation of motion of the CM, conservation of linear and angular momentum, con­servation of energy, variable mass systems. Elastic and inelastic collisions. Rigid body motion, fixed axis rotations, rotation and translation, moments of Inertia and products of Inertia, parallel and perpendicular axes theorem. Principal moments and axes. Kinematics of moving fluids, equation of continuity, Euler’s equation, Bernoulli’s theorem. Oscillations, Waves and Optics: Differential equation for simple harmonic oscillator and its general solution. Super­position of two or more simple harmonic oscillators. Lissajous figures. Damped and forced oscillators, reso­nance. Wave equation, traveling and standing waves in one-dimension. Energy density and energy transmission in waves. Group velocity and phase velocity. Sound waves in media. Doppler Effect. Fermat’s Principle. General theory of image formation. Thick lens, thin lens and lens combina­tions. Interference of light, optical path retardation. Fraunhofer diffraction. Rayleigh criterion and resolving power. Diffraction gratings. Polarization: linear, circular and elliptic polarization. Double refraction and optical rotation. Electricity and Magnetism: Coulomb’s law, Gauss’s law. Electric field and potential. Electrostatic boundary condi­tions, Solution of Laplace’s equation for simple cases. Conductors, capacitors, dielectrics, dielectric polarization, volume and surface charges, electrostatic energy. Biot-Savart law, Ampere’s law, Faraday’s law of electromag­netic induction, Self and mutual inductance. Alternating currents. Simple DC and AC circuits with R, L and C com­ponents. Displacement current, Maxwell’s equations and plane electromagnetic waves, Poynting’s theorem, reflec­tion and refraction at a dielectric interface, transmission and reflection coefficients (normal incidence only). Lorentz Force and motion of charged particles in electric and mag­netic fields. Kinetic theory, Thermodynamics: Elements of Kinetic theory of gases. Velocity distribution and Equipartition of energy. Specific heat of Mono-, di- and tri-atomic gases. Ideal gas, van-der-Waals gas and equation of state. Mean free path. Laws of thermodynamics. Zeroth law and concept of thermal equilibrium. First law and its consequences. Iso­thermal and adiabatic processes. Reversible, irreversible and quasi-static processes. Second law and entropy. Carnot cycle. Maxwell’s thermodynamic relations and simple applications. Thermodynamic potentials and their applications. Phase transitions and Clausius-Clapeyron equation. Ideas of ensembles, Maxwell-Boltzmann, Fermi-Dirac and Bose-Einstein distributions. Modern Physics: Inertial frames and Galilean invariance. Postulates of special relativity. Lorentz transformations. Length contraction, time dilation. Relativistic velocity addi­tion theorem, mass energy equivalence. Blackbody radia­tion, photoelectric effect, Compton effect, Bohr’s atomic model, X-rays. Wave-particle duality, Uncertainty principle, the superposition principle, calculation of expectation values, Schrödinger equation and its solution for one, two and three dimensional boxes. Solution of Schrödinger equation for the one dimensional harmonic oscillator. Reflection and transmission at a step potential, Pauli exclusion prin­ciple. Structure of atomic nucleus, mass and binding energy. Ra­dioactivity and its applications. Laws of radioactive decay. Solid State Physics, Devices and Electronics: Crystal structure, Bravais lattices and basis. Miller indices. X-ray diffraction and Bragg’s law; Intrinsic and extrinsic semiconductors, variation of resistivity with temperature. Fermi level. p-n junction diode, I-V characteristics, Zener diode and its applications, BJT: characteristics in CB, CE, CC modes. Single stage amplifier, two stage R-C coupled amplifiers. Simple Oscillators: Barkhausen condition, sinusoidal oscillators. OPAMP and applications: Inverting and non-inverting amplifier. Boolean algebra: Binary number systems; conversion from one system to another system; binary addition and subtraction. Logic Gates AND, OR, NOT, NAND, NOR exclusive OR; Truth tables; combination of gates; de Morgan’s theorem. In MS paper, 40% weightage is provided to Mathematics and rest of the 60% weightage to Statistics. Sequences and Series: CConvergence of sequences of real numbers, Comparison, root and ratio tests for convergence of series of real numbers. Random Variables: Probability mass function, probability density function and cumulative distribution functions, distribution of a function of a random variable. Mathematical expectation, moments and moment generating function. Chebyshev’s inequality. Standard Distributions: BBinomial, negative binomial, geometric, Poisson, hypergeometric, uniform, exponential, gamma, beta and normal distributions. Poisson and normal approximations of a binomial distribution. 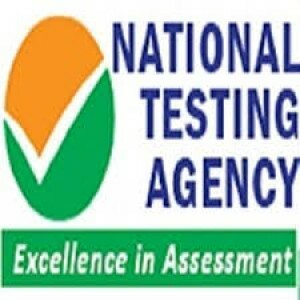 The test paper of BT comprises of Biology (44% weightage), Chemistry (20% weightage), Mathematics (18% weightage) and Physics (18% weightage). Basic Biotechnology: Tissue culture; Application of enzymes; Antigen-antibody interaction; Antibody production; Diagnostic aids, Molecular Biology: DNA; RNA; Replication; Transcription; Translation; Proteins; Lipids and Membranes; Operon model; Gene transfer, Cell Biology: Cell cycle; Cytoskeletal elements; Mitochondria; Endoplasmic reticulum; Chloroplast; Golgi apparatus; Signaling, Microbiology: Isolation; Cultivation; Structural features of virus; Bacteria; Fungi; Protozoa; Pathogenic micro-organizms. Electrochemistry: Conductance and its applications; transport number; galvanic cells; EMF and free energy; concentration cells with and without transport; polarography; concentration cells with and without transport; Debey-Huckel-Onsagar theory of strong electrolytes. Chemical Kinetics: Reactions of various order; Arrhenius equation; collision theory; transition state theory; chain reactions – normal and branched; enzyme kinetics; photochemical processes; catalysis. Functions of One Variable: Limit, continuity, intermediate value property, differentiation, Rolle’s Theorem, mean value theorem, L’Hospital rule, Taylor’s theorem, maxima and minima. Integral Calculus:Integration as the inverse process of differentiation, definite integrals and their properties, fundamental theorem of calculus. Double and triple integrals, change of order of integration, calculating surface areas and volumes using double integrals, calculating volumes using triple integrals. Group Theory: Groups, subgroups, Abelian groups, non-Abelian groups, cyclic groups, permutation groups, normal subgroups, Lagrange’s Theorem for finite groups, group homomorphisms and basic concepts of quotient groups.